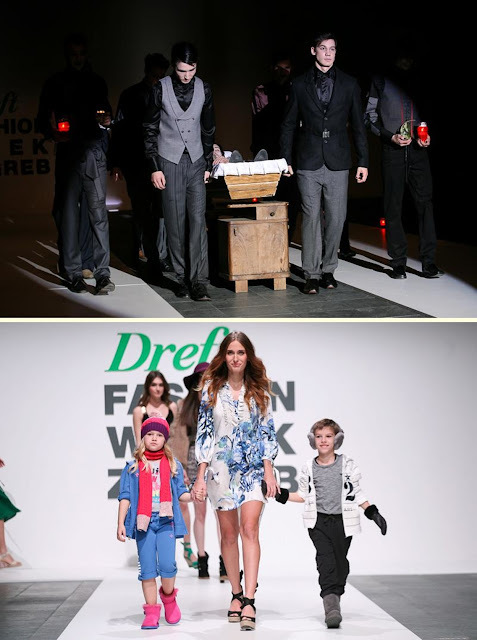 so I've been modeling last 3 days on Dreft Fashion Week. First day I loved Toni's fashion show. He made a spectacle like always. This time the theme was funeral. I modeled for UGG, and I have to say the clothes was great. Every single piece was designer, D&G, Iceberg, Armani, etc.. I also wore, and liked very much Nino Bollag's fashion show. I had a chance to meet him and talk to him. 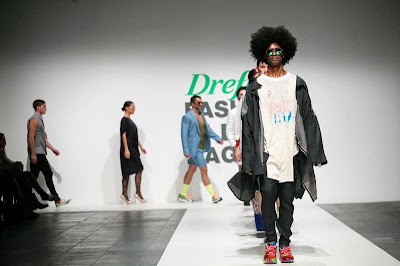 I saw his work on this year's Paris fashion week. He's really a nice person. I don't know what to say about the second day, no one surprised me, but I have to say Steven Tai from Berlin did a great and unique job. Superated was different and very cool. I would wear that if I could in real life. Finally, the third day was filled with Croatian stars. I love Iggy's work! I already wore his fashion show, and this time it was a swimsuit! I was't sure I'm a person for that, I think I don't have the attitude,but it turned out well. Natalija did the great job like always, but this time for men. Grand finale was left to Ivana Popović, who I happen to know more then just as a model. She did the fantastic job, I always admire her work and creativity. On the begining I want to tell you that you have awesome blog too. wow , such such great show ! , all of the models are wearing beautiful pieces . i loved ur post i get so much inspirations from runway shows like those ones . Well done , lovely ! Nice pictures ! Nice collection, you made a great post! Lovely pictures, Isabella! It seems as you really had a great time modelling for this event! Keep up the great work, dear! Wonderful, love the photos... Enjoy modelling you are great at it! congrats for the shows! you look fabulous! Wow! Beautiful and inspiring session! you look fab! congrats on ur shows! xO!